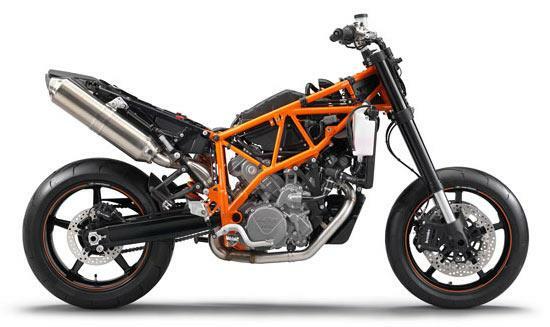 The KTM 990 Supermoto R is an absolutely stonking bike. On the road the bike is hysterical - a complete hooligan bike. Get on it, point it towards some tight, twisty roads and try not to giggle with excitement. This is the Supermoto R's strong point. It turns twisty roads into a private race track but the bike really comes into its own when its on track. The multi-adjustable high-spec WP suspension works perfectly on track and each alteration in the suspension is clearly obvious. The high, wide bars mean it's easy to chuck the KTM round corners and make low speed work a doddle. Radial Brembo brakes are simply excellent. The 999cc V-twin makes 114bhp and is a great engine. It's not the most powerful V-twin on the planet, but it has buckets of grunt, which make firing between corners great fun. The throttle response is a little lumpy low down, but the throttle response is brilliant. And once you get the motor spinning it'll be hard to wipe the huge grin off your face. 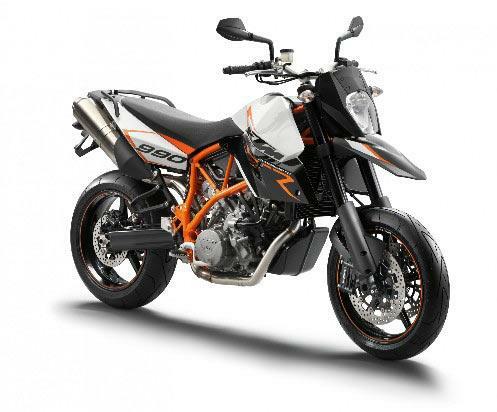 KTM reliability is pretty good but the V-twins are known to like a drop of oil and need some fairly close attention to make sure the level doesn’t drop too low. Quality of the components means a high overall standard. 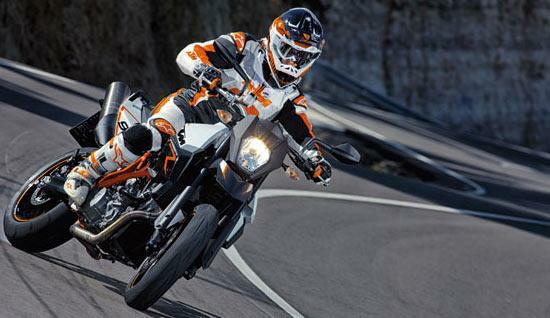 New or used the KTM 990 Supermoto R represents good value for money. 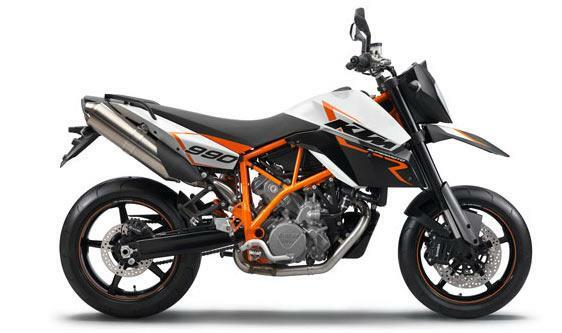 KTM’s brand represents high quality and the market reflects that with slow-to-sink residuals. As a flexible, feel-good option there’s little to touch it, especially if you’re tired of cramped sportsbikes. In terms of electronics the Supermoto R is pretty basic. You get Bosch ABS, which is a brilliant system, giving you more conifdence on the brakes but not being too intrusive to stop you having fun. And it can be turned off. Brembo brakes, Marchesini wheels and WP suspension are all top notch products and you can feel it. 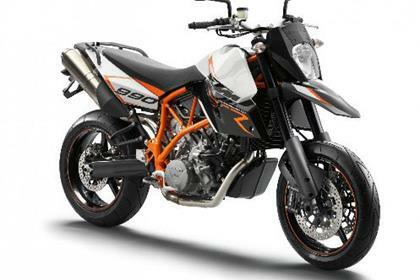 1 owner has reviewed their KTM 990 SUPERMOTO R (2009-2013) and rated it in a number of areas. Read what they have to say and what they like and dislike about the bike below.